The Ryukyu Golden Kings are excited about the start to the new season, which brings a pair of new faces to the reigning Basketball Japan League championship team. Anthony Kent is new to Okinawa, making the transition from the Aomori Wat’s. He’s onboard, noting the weather here’s been a challenge in making the transition from northern Japan’s snow climate encountered while playing for the Wat’s, and also the Akita Northern Happinets in 2012-2013. The 32-year-old Ohio native says he’s getting used to Okinawa’s humid weather. Anthony Kent says he’s ready to help lead the Golden Kings to yet another trophy. The 208cm / 103kg Kent plays forward. 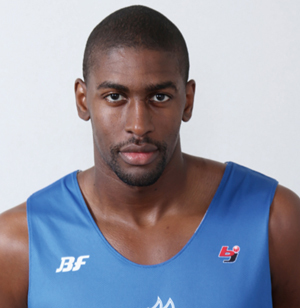 He’s a graduate of Paul State university and played at JAS Bordeaux Basketball in 2006 – 2008, Fort Wayne Mad Ants (D-League) in 2008 – 2012, Marin Red Claws (D-league) in 2021-2012 and came to Japan and joined the bj league. Kent says I’m so glad and exciting that I became the member of the BJL champion team. I will do my best and will hard work for the team, I hope I will be the member who cheered by such a great supporters”. Also new to the reigning champion Golden Kings is Hiromasa Omiya. Omiya was born in 1983 and is from Tochigi prefecture. He’s 197cm tall and weighs 92kg. Playing forward, he graduated from Senshu University, played for the Mitsubishi Diamond Dolphins in 2007-2008, Link Tochigi Brex in 2008-2011, Aisin Seahorse Mikawa in 2011-2013 and Kumamoto Volters until last season. All of Omiya’s former teams are in the National Basketball League of Japan. 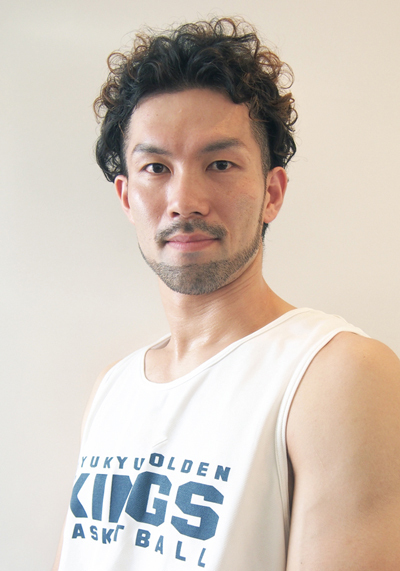 Forward Hiromasa Omiya is transitioning from the NBL of Japan, eager to contribute to Okinawa’s fast-paced running game. The Kings first pre-season match was yesterday and the season’s second game is tomorrow against Toyota ALVALK Tokyo at Okinawa City Gym. The venue opens at 5:30 p.m. for the 7:30 p.m. tip off. Jeff Newton, Yoshiki Yamashiro and Karimata have left the team.